Making Hay while the sun shines! 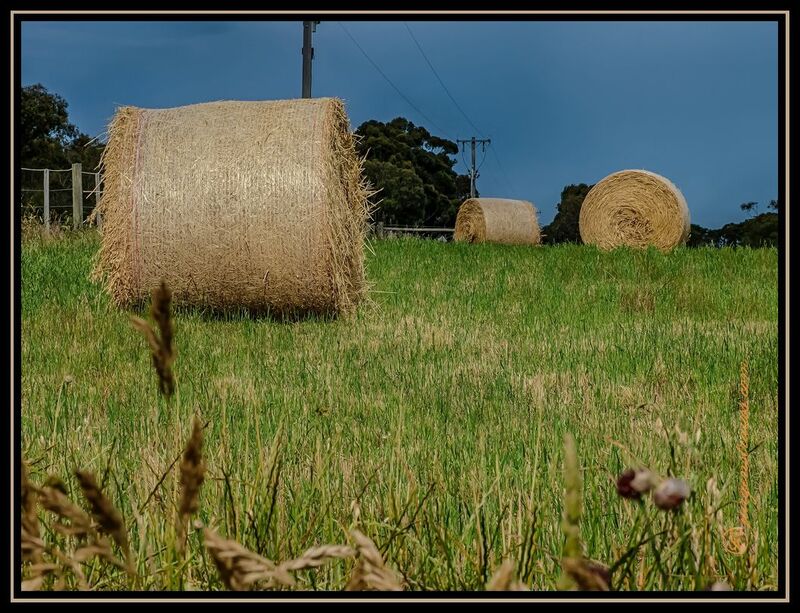 Freshly rolled hay bails adorn the field near Serendip Sanctuary. Photographed with: Olympus Pen EP-3, with Olympus M.Zuiko Digital ED 60mm f2.8 macro lens, with an exposure bracket of +/- 2 EV at f 14 and 200 ISO and the resultant images combined to produce an HDR image.